You Are Here: Home » Blog » antique tires » What year did Charles Goodyear invent Vulcanized Rubber? What year did Charles Goodyear invent Vulcanized Rubber? Note: post edited on 30 September 2014 to replace language stating that Goodyear created a sulfur-free rubber. Despite the name, vulcanized rubber has nothing to do with the pointed-eared aliens from Star Trek and it definitely wasn’t invented by Leonard Nimoy. Vulcanized Rubber was actually invented by Charles Goodyear in the early 19th century. Goodyear’s vulcanized rubber revolutionized the rubber industry and helped shape global transportation. 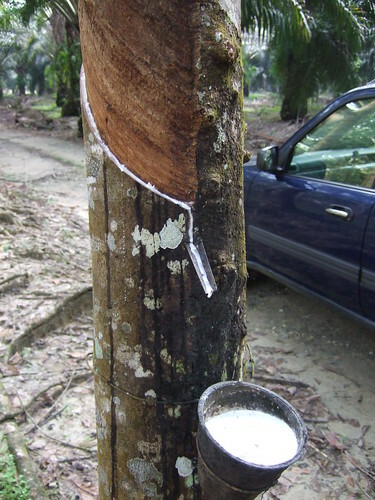 In the early 1800’s all rubber products were made from natural rubber known at the time as India Rubber, produced from a refined latex sap collected from rubber trees (Hevea brasiliensis). Rubber was used in many products even in the 19th century; however, these early rubber products had one fatal flaw – there were very unstable. Early natural rubber products could not handle adverse temperature changes: they would melt in the heat and would start to fracture and break in the cold. Because of their fragility, rubber products produced in the late 1700’s and early 1800s had to be replaced nearly every season. Since rubber was so unreliable many people and manufacturers in the 19th century abandoned it all together. But a determined Charles Goodyear, born December 29, 1800, saw rubber’s potential to change the world. Goodyear first began working with rubber around in the 1830’s while serving out a sentence in a Debtor’s Prison in Philadelphia. Goodyear’s work with improving rubber drove him into to debt time and time again even in 1836 when Goodyear discovered how to “cure” or harden natural rubber. In 1837 he was granted US patent number 240 for improving the manufacture and application of natural rubber, but his finical troubles persisted. Goodyear’s next breakthrough came in 1839 when he invented vulcanized rubber by complete accident. While experimenting with various additives, Goodyear added sulfur to the rubber and found it stabilized the material. This proved to be a miracle for Goodyear. If light bulbs were invented yet one would have appeared over his head. The sulfur rubber that was heated seemed to be more durable and malleable. So Goodyear continued to experiment and found that by adding the sulfur to the rubber and heating it afterwards it became more elastic, waterproof, and could withstand temperature changes. This was known as vulcanization. Goodyear took his findings and invention to the United States patent office and was formally awarded with patent number 3,633 on June 15, 1844 for “Improvement[s] in India-Rubber Fabrics”. Goodyear had to fight rigorously to defend his invention and patent in court. Not long after Goodyear invented vulcanized rubber Horace Day began selling vulcanized rubber products—a clear case of patent infringement. But on Wednesday, October 13, 1852 Goodyear was declared the sole inventor of vulcanized rubber. The original New York Times article snippit can be seen on the New York Times Archives. According to Goodyear, his only motivation for his patents and inventions were to advance human society. Goodyear’s invention went on to make rubber an industry standard material and is responsible not only for the creation of Goodyear tires but all tires. The Goodyear tire company was named in honor of Charles Goodyear in 1898. 2 Responses to What year did Charles Goodyear invent Vulcanized Rubber? Glad you have this item drawing attention to Charles Goodyear’s breakthrough discovery, but there are a couple inaccuracies that might lead readers to the wrong conclusions. Most importantly, Goodyear’s breakthrough was not to remove sulfur from rubber, but to add sulfur. 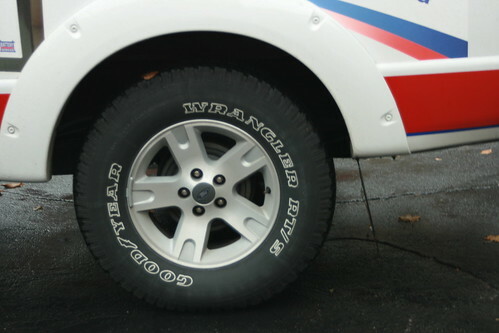 Although Goodyear was not aware of the chemistry, added sulfur molecules create cross-connections between the long rubber molecules, stabilizing them as the temperature changes. He made his initial discovery in 1839, optimized his process over the next few years and patented it in 1844. The 1852 supreme court case confirmed Goodyear’s preeminent claim on the invention—in the United States. His claim in England was overturned, because he had not filed his patent in a timely manner. The Goodyear rubber company of today has his name, but no other connection to Charles Goodyear. Thanks for catching this error! We have corrected the original post.